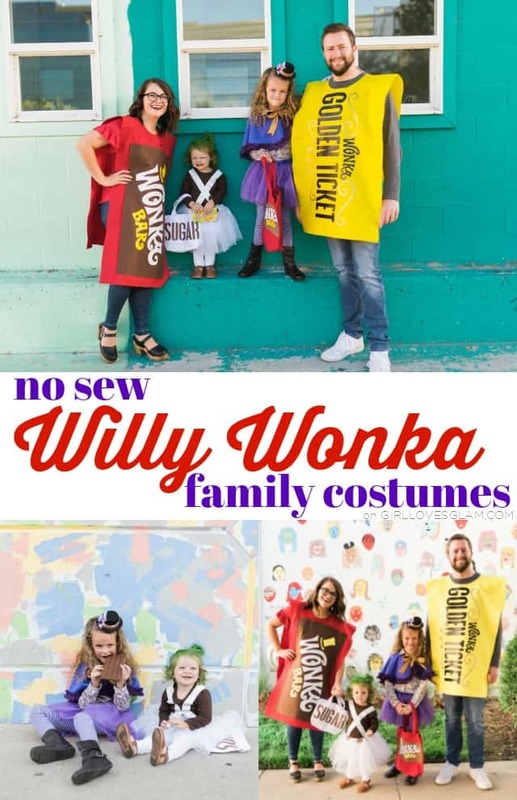 With the exception of actually going out and buying the supplies for these Willy Wonka costumes, I was able to make all 4 of them in half of a day. They were really easy to whip up and I didn’t have to pull out my sewing machine for any of them! 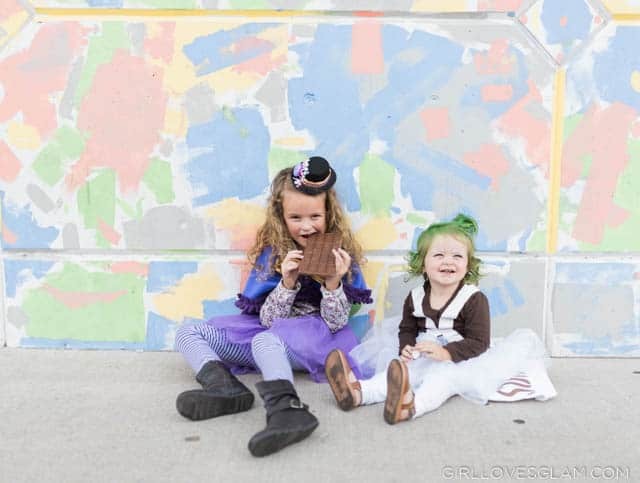 You can find the Willy Wonka costume for girls tutorial and the Oompa Loompa costume for girls tutorial on previous posts. 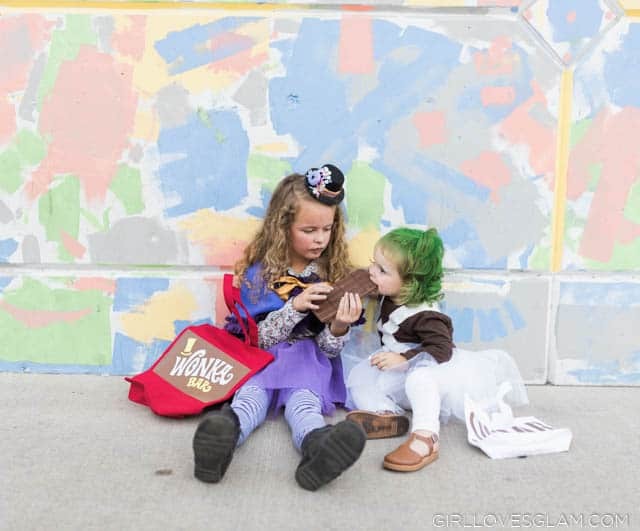 They both have matching trick or treat bags that pull their looks together really well! 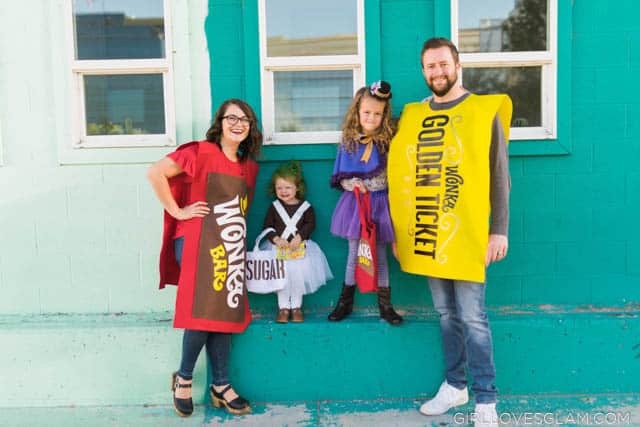 The Wonka Bar costume and Golden Ticket costume tutorials are on previous posts as well. They are perfect for adults and kids to wear and they don’t require you to wear anything special. You literally wear regular clothes and put this costume over it. So easy! If you have any questions at all about any of the tutorials, let me know! They were a lot of fun to create and I just love how they all turned out. 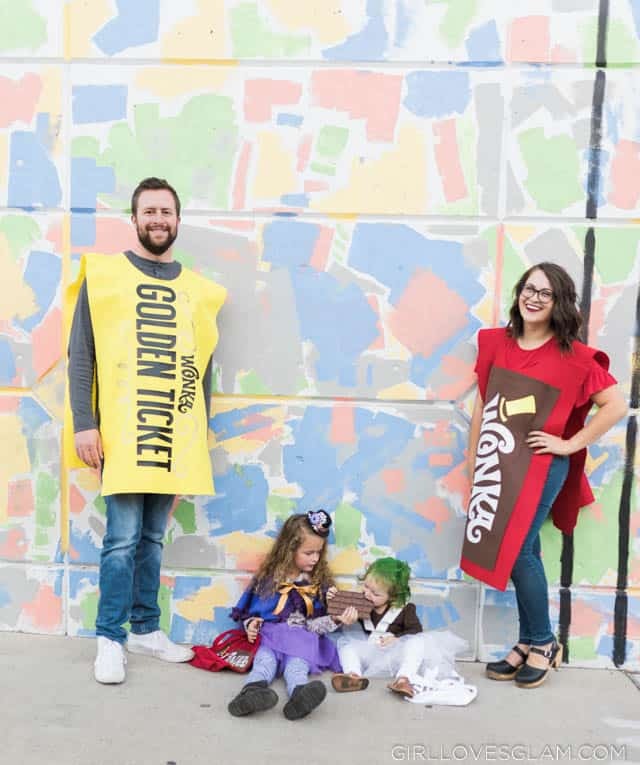 We literally chose this theme because we all wanted to see our toddler dressed as an Oompa Loompa. I am so glad we went with that theme because seeing her as an Oompa Loompa was totally worth it! 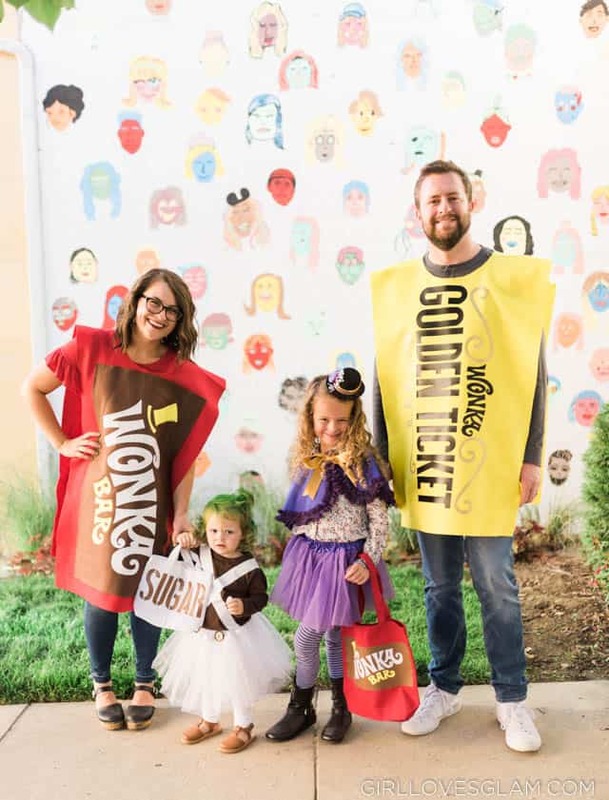 Which Willy Wonka costume is your favorite?